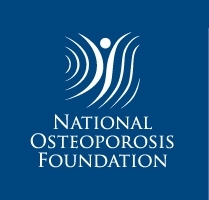 Though bone loss tends to accelerate with age there are modifiable factors that may influence the rate of bone loss even in very old men. The aim of this 2-year longitudinal study was to examine potential predictors of change in total hip bone mineral density (BMD) in older men. The Concord Health and Ageing in Men Project is a population-based study in Sydney, Australia. For this study, 1,122 men aged 70–97 years had baseline and follow-up measures of total hip BMD measured with dual X-ray absorptiometry. Data about mobility, muscle strength, balance, medication use, cognition, medical history and lifestyle factors were collected using questionnaires and clinical assessments. Serum 25-hydroxyvitamin D [25(OH)D] was also measured. Multivariate linear regression models were used to assess relationships between baseline predictors and change in BMD. Over a mean of 2.2 years, there was a mean annualised loss of total hip BMD of 0.006 g/cm2/year (0.6 %) and hip BMC of 0.14 g/year (0.3 %). Annual BMD loss accelerated with increasing age, from 0.4 % in men aged between 70 and 75 years, to 1.2 % in men aged 85+ years. 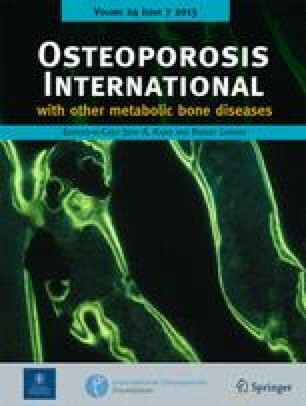 In multivariate regression models, predictors of faster BMD loss were anti-androgen, thiazolidinedione and loop-diuretic medications, kidney disease, poor dynamic balance, larger hip bone area, older age and lower serum 25(OH)D. Factors associated with attenuated bone loss were walking for exercise and use of beta-blocker medications. Change in BMD was not associated with baseline BMD, smoking, alcohol consumption, BMI, frailty, or osteoarthritis. There was considerable variation in the rate of hip bone loss in older men. Walking, better balance and beta blockers may attenuate the acceleration of BMD loss that occurs with age. The CHAMP Study is funded by the Australian National Health and Medical Research Council (NHMRC project grant no. 301916) and the Ageing and Alzheimer’s Research Foundation (AARF). Many thanks to the scientists, Lynley Robinson and Beverly White, for assessing the scans and to the participants who have graciously given their time for this study. The CHAMP study was approved by the Concord Hospital Human Research Ethics Committee. Written and informed consent was given by all participants prior to their inclusion in the study.